You wont need to buy a new car to experience Apple CarPlay. The new servicewill be available this summer on five of Pioneer Electronic’s NEX in-dash multimedia receivers, the company has announced. CarPlay will be available through a firmware update for theAVIC-8000NEX($1,400),AVIC-7000NEX($1,200),AVIC-6000NEX($900),AVIC-5000NEX($750), andAVH-4000NEX($700). Each receiver is already on sale at authorized Pioneer Car Electronics dealers nationwide, including Best Buy, Crutchfield, and Car Toys. Pioneers years of expertise integrating smartphone connectivity into the automotive environment has provided us the opportunity to be among the first to offer CarPlay to drivers. 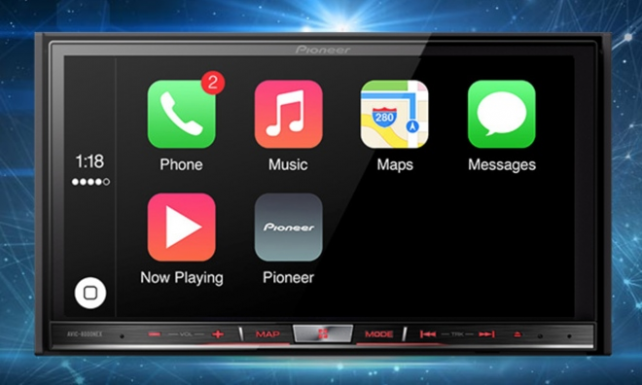 By providing an aftermarket option, Pioneers 2014 in-dash multimedia systems give many iPhone owners the ability to add CarPlay to their current vehicles. Pioneer isn’t the only company bringing Apple CarPlay to the aftermarket. Earlier this week, rumors swirled saying thatAlpine is preparing a CarPlay-compatible receiver for release later this year. See also:An Apple CarPlay Partner Offers Interesting Look Into The SDK,If Doc Brown Owned An iPad mini, This Is How He’d Have Used It, andVolvo, Mercedes-Benz Show Apples CarPlay In Action.